Praise God from whom all blessings flow! Pastor Lydia Godje comes to Trinity AME as her first appointment as Pastor. She is a spirit-filled believer, who is and has been actively committed to the ministry of our Lord and Savior, Jesus the Christ, for over 30 years. She has served in the capacity of the Director of Christian Education at First African Methodist Episcopal Church of North Las Vegas located within the Southern California Conference; prior to her relocation to the Baltimore Area. Born in Kalamazoo, Michigan, her youthful years were spiritually nurtured at Allen Chapel AME Church. 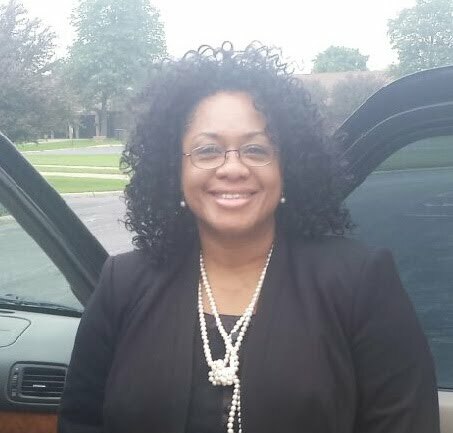 As a servant of the Lord, Pastor Lydia has worked diligently in many areas of the church: Church School Assistant Superintendent, Sunday School Instructor, Church School Facilitator, Vocal Choir, Christian Education Advisory Board, Vacation Bible School Director, Women Conference Coordinator and presenter, Evangelist to the homeless and the needy and AME Annual Conference Delegate in the Fifth Episcopal District. She is a graduate of Lincoln Christian University and has earned her Associate & Bachelor Theology degrees. She is presently attending Lincoln Christian Seminary to attain her Master of Divinity specializing in Christian Education. As a retiree from 30+ years of service to the Clark County School District in the position of Office Manager, Reverend Lydia is a mother of four adult children and a grandmother of nine. Her eldest daughter is First Lady/Evangelist Symmie Mitchell who is married to Senior Pastor Sylvester Mitchell of Greater Love International Fellowship in Las Vegas, Nevada; son Gary is a global Computer Specialist who resides in Kinnelon, New Jersey; daughter Angie is the proud mother of five, and youngest daughter Sakinat is a 2018 graduate of Spelman College who is presently working for the Peace Corps in Senegal, West Africa. Sunday: Church School - 10:15 a.m.
Sunday: Worship Service - 11:00 a.m.
Wednesday: Prayer Walk - 6:00 p.m.
Wednesday: Bible Study - 7:00 p.m.